Pavia Nurseries (Belgium) ©Jan De Langhe, Ghent University Botanical Garden, 2009 (Accessed 5/2014). Quercus x rudkinii is a tree in the red oak group. 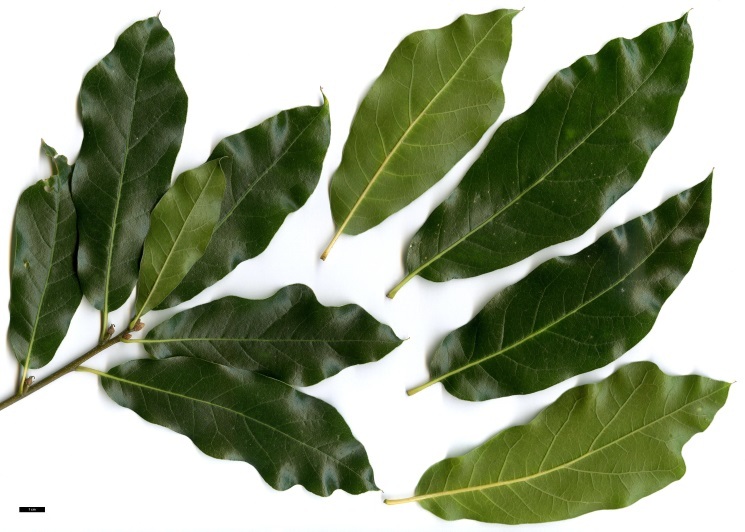 Leaves very variable, even on the same twig; stalk very short, top blunt with bristle tip; base rounded to slightly lobed; margin entire or with blunt lobes; young leaves hairy, often rusty coloured below. Frequency in NYC: Rare but unlisted.